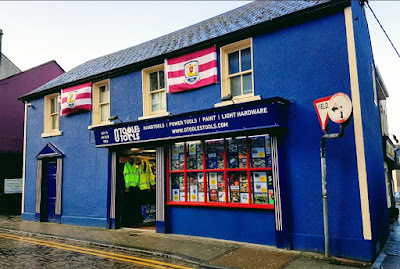 Located just off the top of Eyre Square, this is the only general hardware shop left in the inner-city. O'Toole's stock a wide range of hardware and DIY supplies. They really knows what they're talking about, and have sold me some of my favourite power tools. Some people think that the shop-name is just a clever pun. But no, it's really the family name. Drop by and ask the lads if you don't believe me.